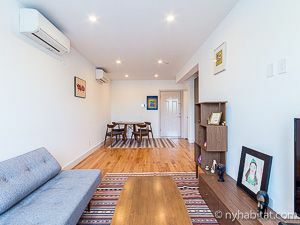 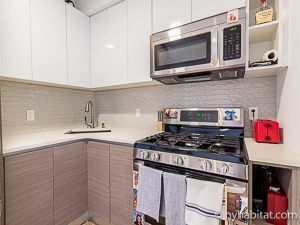 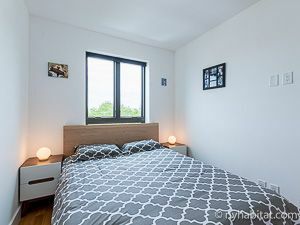 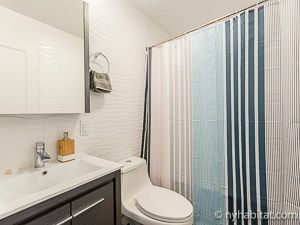 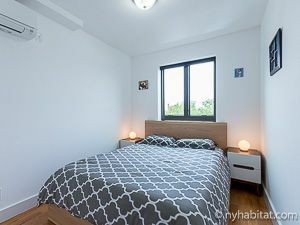 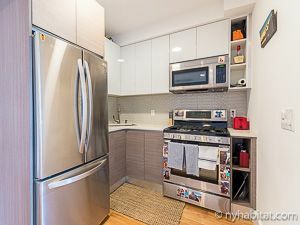 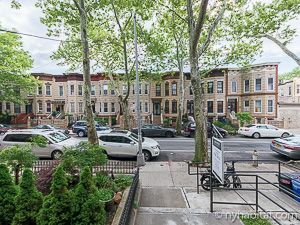 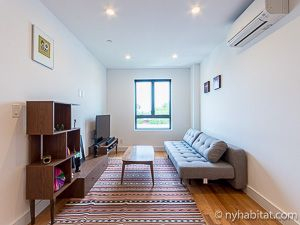 Find a cozy space in Bushwick with this neat and contemporary 1 bedroom apartment located at Hancock Street & Irving Avenue. 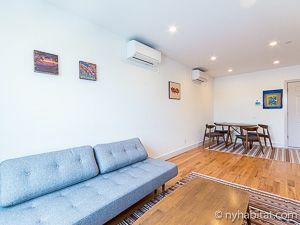 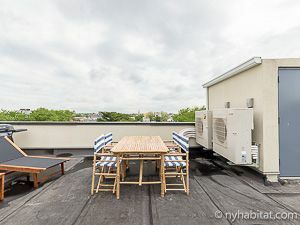 The unit is perched on the 4th of 4 floors (3rd of 3 for Europeans) of a pre-war townhouse featuring a 500 sqf (48 sqm) private rooftop fully equipped with BBQ, 2 lounge chairs and dining set for 6 people. 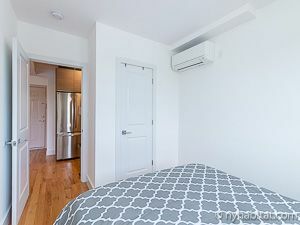 This apartment features a simple, streamlined contemporary design scheme and and open floor plan. 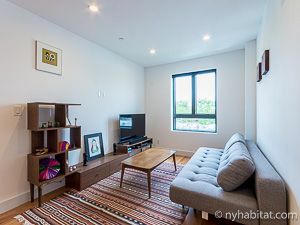 The living room features a sofa, media stand and large three-paneled window. 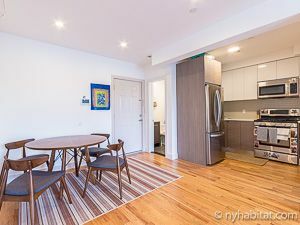 The contemporary kitchen, fully updated with modern appliances, looks out onto the dining table with seating for four, perfect for hosting a small group of friends. 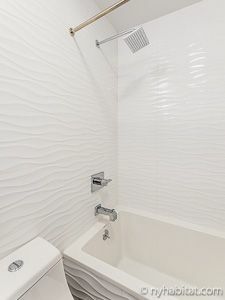 The apartment’s cohesive nature continues into the bedroom, which is stocked with a queen size bed and another large window, and the bathroom, which features wave-patterned tile and a rainfall showerhead.